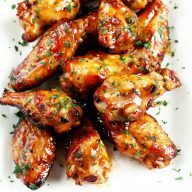 Now that it’s football season again, I am deep into tailgating mode! There’s nothing better than sitting back with a ice cold drink and a table full of delicious food to prep for the next game. All that cheering really wears me out, you know? There’s nothing like a huge pile of coconut shrimp to bring people together. 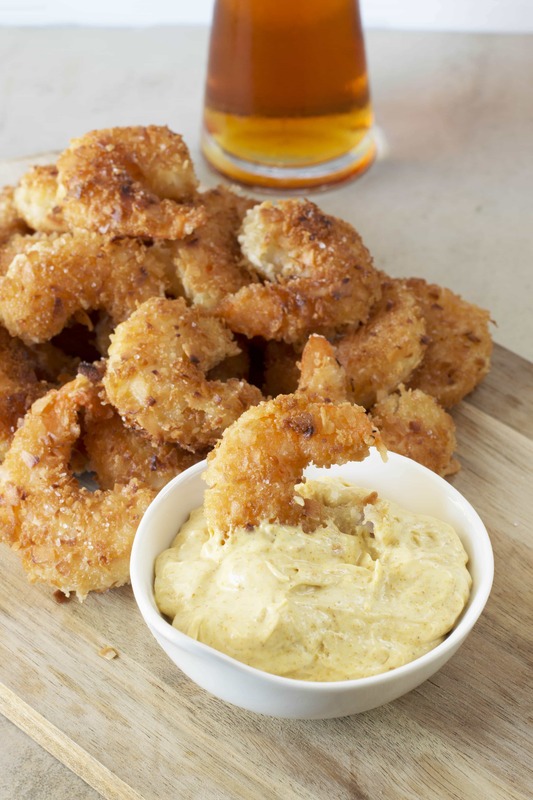 These shrimp are particularly addictive with their crispy not-too-sweet exterior and the spicy curry dip that goes along with them. 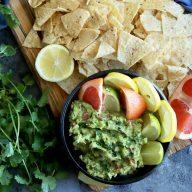 This recipe is so easy to create and is ready in a flash, you’ll spend less time in the kitchen and more time with friends and family! I love the fact that these shrimp don’t come out too greasy and oily. Instead they come out light, with the perfect amount of texture. 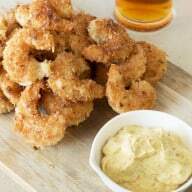 Plus they aren’t overly sweetened like other coconut shrimp recipes I’ve tried. This recipe will win over even the most anti-coconut person. Pair them with your favorite crisp beer or cider or wine (always wine with seafood right?) – you really can’t go wrong. I guarantee everyone will be begging you for the recipe! 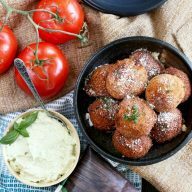 You’ll never want to go another game without a plate of these by your side (if only you could sneak some into the stadium, now that would be a dream come true!). Happy eating! 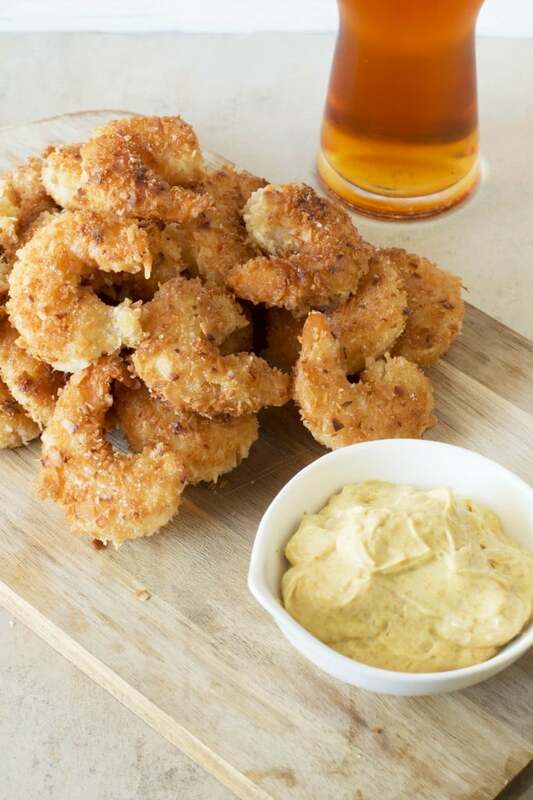 Crispy coconut coated shrimp served with a spicy and cooling curry dip that will become a new sports season favorite. In a small bowl, stir together the ingredients for the curry dip until combined. Set aside in the refrigerator until ready to serve. In the bowl of a food processor, add the coconut flakes. Pulse until the coconut is shredded. Set up your dredging station. Gather three small bowls. In the first bowl, combined the flour, salt and pepper. In the second bowl, add the beaten eggs. In the third bowl, combine the panko bread crumbs and shredded coconut. Add enough vegetable oil to a medium skillet to just cover the bottom. Heat the oil over medium heat. Working in small batches, dip the shrimp in the flour, then eggs, and then coconut/panko mixture. Fry about 5 to 6 shrimp at a time, for two minutes per side, until golden brown. 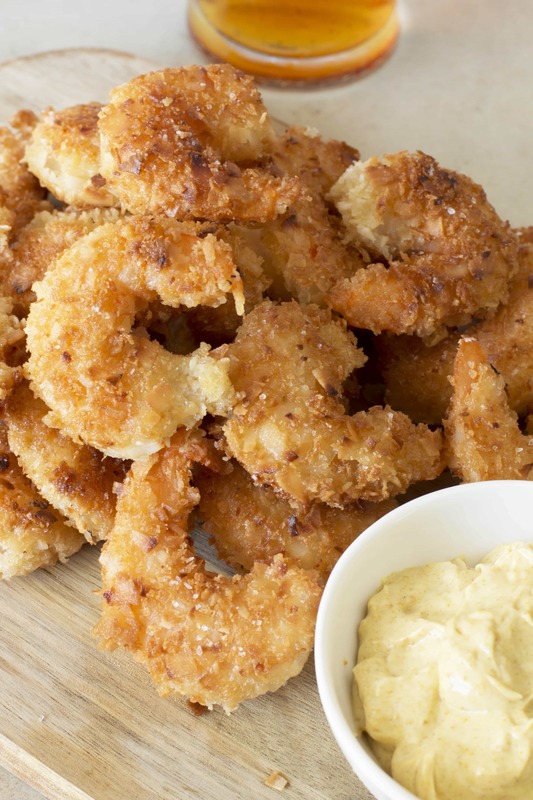 Drain the fried shrimp on a paper towel lined plate. Serve immediately with the spicy curry dip.